for other pictures of this type of stove. 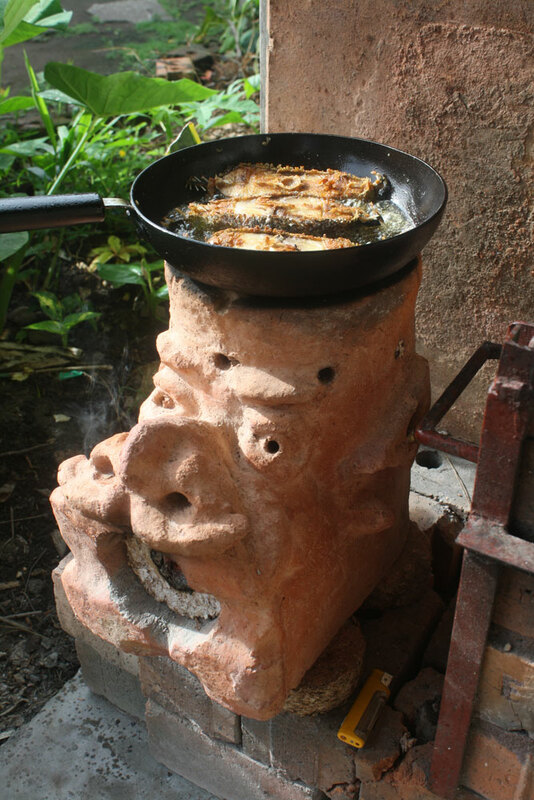 and has been making improvements to the design detailed in the pdf, and has these lovely stoves made with the help of the artists he's been working with in the Philippines. 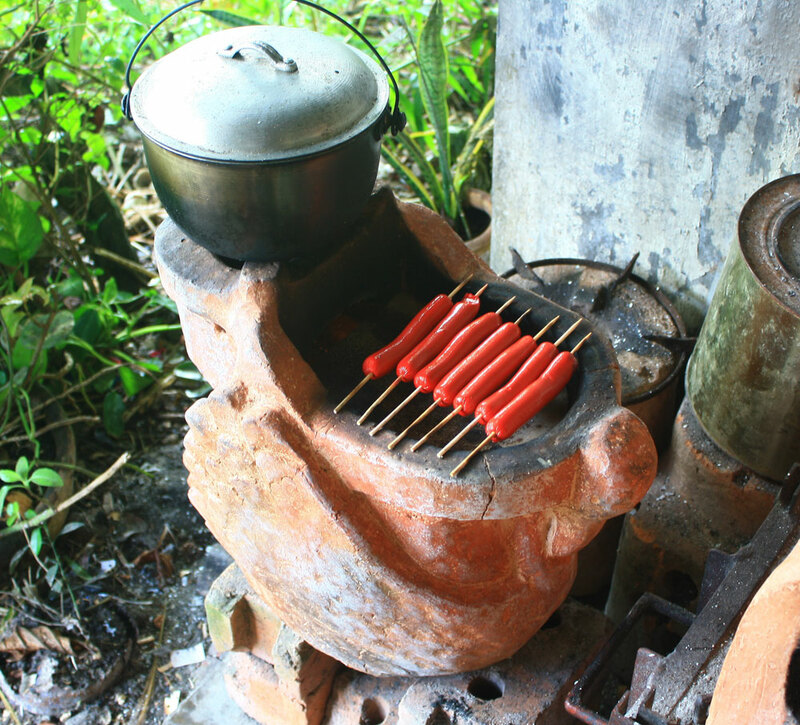 A side fed fuel chamber allows for continuous cooking. Eliminating the risk of handling hot char. Clay is less expensive than metal. 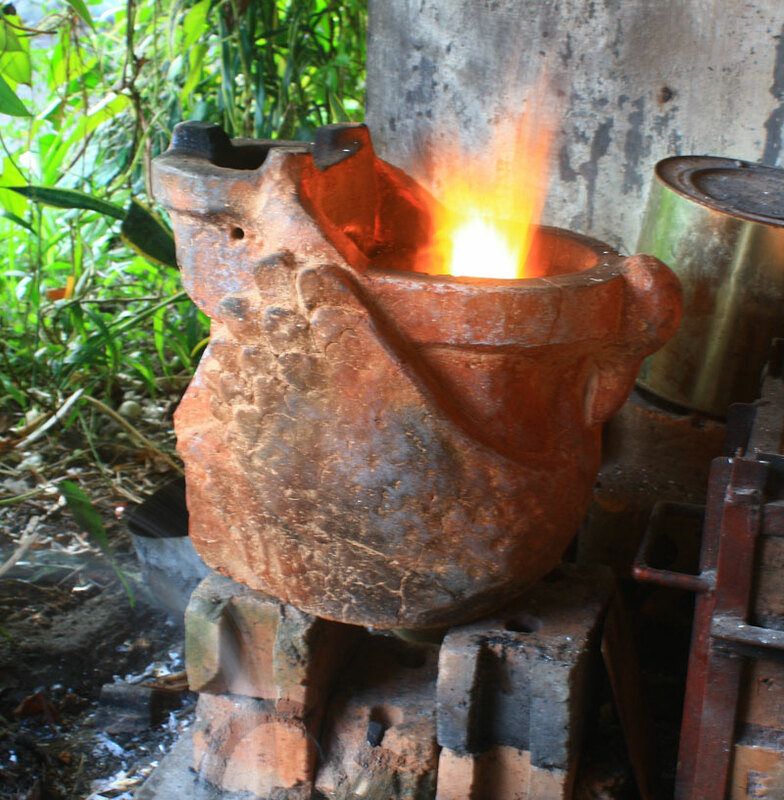 Clay stoves are heavier and brittle but they outlast equivalent metal stoves, some lasting for longer than 3 years of continuous use.